We love an audience! Come visit & enjoy. We also welcome men of all ages and levels to sing with us. If you can talk, you can be taught to sing well. We love mixed voice choruses. Ours specializes in blending mens' voices. Ladies' voices are heartily welcomed at our sister chapter, Song of Sonoma. Avoid Disappointment - We Are Sure To Sell Out! ​Entertainment for the whole family. youth quartets from our local high schools. Love to sing? Come join our band of merry men! 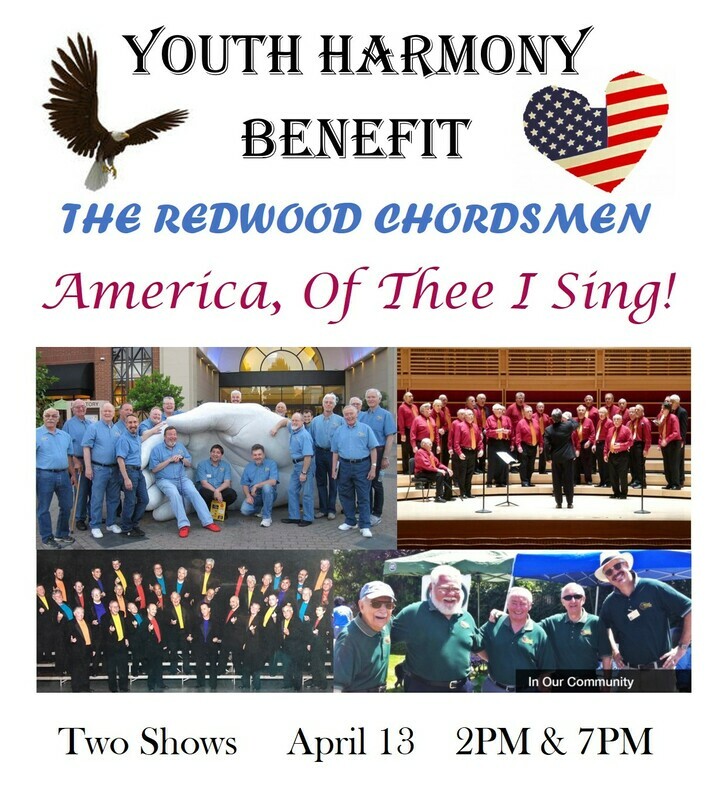 ​The Redwood Chordsmen share their love of barbershop harmony with all ages throughout the community. Our mission is to perpetuate Barbershop music with through continual improvement in vocal quality and presentation, educating each member to reach his potential. You CAN sing! We will teach you to be ever-happier with your "tunesmanship."